Washington, DC – Today, the Crime Museum announced a new partnership with the Officer Down Memorial Page, Inc. (ODMP), as a new endeavor to honor our nation’s fallen heroes while offering new insight to the public on police statistics. 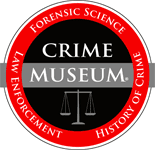 The Crime Museum and ODMP will collaborate to paint a picture of the danger that law enforcement officers face placing their lives on the line to solve and prevent crime. Starting in March 2012, ODMP will provide the museum with up-to-date police statistics, which will be released in a monthly report for the general public—increasing awareness of police activity and current developments. Data will highlight police death count and officers killed in the line of duty. In tandem with the monthly release of statistics, ODMP is also scheduled to launch a permanent exhibit within the museum in Summer 2012. The exhibit, located in the Fallen Heroes wing of the museum, will include a computer kiosk in which you can look up fallen officers. "Our partnership with the National Museum of Crime and Punishment is an exciting opportunity for ODMP to integrate the latest Internet technologies into an interactive museum setting,” states ODMP Executive Director Chris Cosgriff. “Our exhibit will educate the general public and future law enforcement officers to the amazing, and all too often tragic, sacrifice that law enforcement officers of all types make on a daily basis. By telling the stories of these fallen heroes, we are preserving their memories and ensuring they live forever."